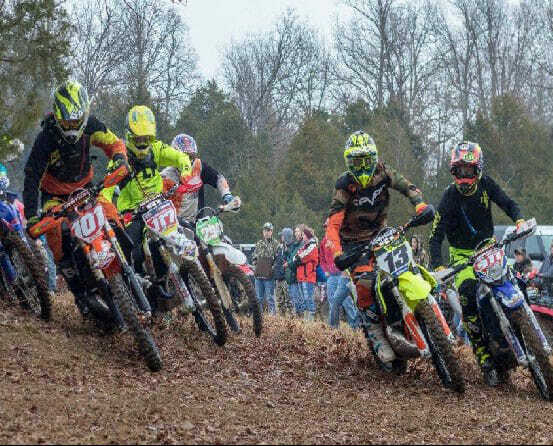 Round 10 of the 2018-19 Fly Racing MSXC Series is this Sunday, 4-14-19, at Hazzard Hill 2 in Vanleer, TN. This round will not be held in White Bluff, TN as previously scheduled. As of now the race property is dry, but there is some off-and-on rain in the forecast for the weekend. If the forecast holds true, the rain should be out of the area by early Sunday morning. The race is definitely on. The adult bike and ATV course will be about 10 miles long, and includes some new trail. The course will not be the same as last year. The Junior/Mini A/Women’s course will be 2.5 miles long, and the Mini B/PeeWee course will be 3/4 of a mile and all woods. The normal race schedule will be followed with Juniors/Mini A at 8:30, Mini B/PeeWees at 10 a.m., Adult Bikes at 11:00 and Adult ATVs at 2 p.m.. Other general race info (classes, directions, fees, etc.) is on www.msxc.com under event info/flyers. We also plan on having early sign-up from 4 to 6 P.M. on Saturday. Please remember to bring your helmet to sign up. MotoAmerica: Texas Here We Come!